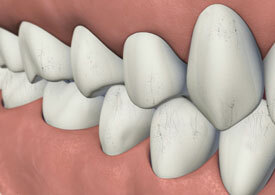 A split tooth is usually the result of an untreated cracked tooth. It can be identified by a crack with distinct segments. This type of tooth can never be saved intact. 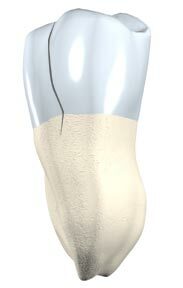 Yet, the position and extent of the problem will dictate whether any portion of the tooth can be saved. Sometimes, endodontic treatment by the doctor and restoration by your dentist can be used to save a portion of the tooth.